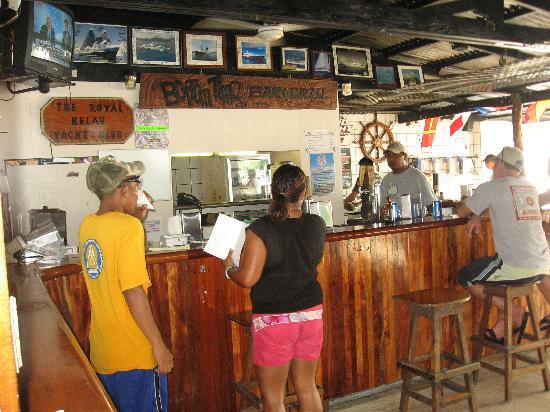 During your next adventure in Palau, stop by Bottom Time Bar & Grill, located dockside at Sam's Tours. It's an ideal location to watch the sunset or just relax among new friends and discuss the day's adventures. Or, stop by in the morning for a cup of coffee before your adventure filled day begins. "Good selection of pizza, puerto rican and American food. Prices are very reasonable, considering they could charge more since there are no other options around the beach area. It's great having something so close after a day at the beach!"